I am catching an early flight on Thursday to keep my date as Death in Madison, Wisconsin, where I am leading a weekend workshop titled "Making Death Your Ally." I pause for a cup of coffee at the cafe near the A gates at my local airport. The old guy behind the counter has been working there forever, and always seemd happy to see me. But today he freezes before greeting me. "They're calling my dad" he explains, referring to an airport announcement I missed. "Steven Noble. That's my dad's name. Of course, he's dead." "Maybe your dad is being called to a better place," I suggest as he works the coffee urn. The announcement is repeated. "Passenger Steven Noble, please return to the security check." "Or maybe your dad left something behind," I amend my suggestion. "Maybe what he left behind was ME," says the guy behind the counter, thoughtfully, as he hands me my coffee. On the first leg of my trip, I open a selection of William James's writings, acquired the day before, to an introductory chapter titled, "A Conversational Encounter with William James." The young woman in the seat naext to me gapes at the page, wide-eyed. "That's my dad's name," she tells me. "William James." Another rhyming theme for the day is asserting itself; the first two people I encounter on the road recognize their fathers' names. Changing planes at Chicago's O'Hare airport, I go to use a rest room on the F concourse. The scene inside the men's room is rather strange. Men are standing about motionless, all watching the maneuvers of a maintenance man who is down on the floor on his back, wriggling his large body so as to get his head and torso under the locked door of a stall. He sputters with shock or disgust as he gets far enough to unlock the door from the inside. Another janitor moves to block our view of whatever is inside the stall. After a muffled conference, one of them takes off in a hurry, pulling out a walkie-talkie. "Is there a problem?" I ask as he hurried by. "No problem," he responds, with a trace of dry humor. I don't need to ask anything more, because I get it. Death stopped by that rest room just before I did. Now I'm on my second flight of the day, on the little puddle-jumper that will take me from Chicago to Madison. There's a hold-up. A woman airline staffer with a manifest explains, "We have an extra body on board." It seems there is one more passenger on the plane than is identified on her chart. She goes through the plane row by row, asking all of us for our names and our boarding passes. I notice that the woman across the aisle from me is readiing a mystery novel with a bookmark that says "Booked for Murder". The man next to me gives his name, when asked, as "Flatland." I turn to him and observe, "That's an unusal name." He explains that his family took the name from the district in Norway from which they emigrated. I tell him about the parable of Flatland devised by Edward Abbott to help us imagine what it would be like to see and operate from the fifth dimension instead of merely the 3D reality (plus time) we ordinarily inhabit. Abbott's Flatland is a 2D world in which everything is completely exposed to a citizen of 3D reality who can materialize and dematerialze and move things around in a godlike (or ET) fashion incomprehensible to inhabitats of the horizontal universe. In the midst of this conversation, the mystery of the extra body is resolved. An infant has been assigned a seat in the manifest, though not a boarding pass. We are airborne, soon looking down on the dairy farms of Wisconsin cheese country. At Madison's Dane County Airport, my friend Karen McKean, who is coordinating my Death workshop for me, is waiting next to a display case that features a curious composite sculpture with a skeletal figure with a Death's head at its center. Death hasn't finished rhyming. When I arrive at the CBS studios for an interview with "Live at Five" I am given coffee in a black mug with the logo of a (Winnipeg) taxidermy company, "a family tradition." When I go on from the interview to have drinks with a friend before a bookstore event, she tells me she just dreamed her husband died, or a heart attack. I've declared (in "The Three 'Only' Things) that "life rhymes." I've been reminded that Death rhymes too. The photo of the Death sculpture at Dane County Airport is by Karen McKean, who leads Active Dreaming classes at her studio near Madison WI in addition to coordinating my area workshops. "Something happened when [Claudio] Abbado had his tangle with stomach cancer eight years ago. Now, it's as if his musicians sit on the brink of the abyss with him, wanting every note to matter so much that if the world ended tomorrow, nobody would care." I quote this from a wonderful review by Sheila Apthorp of an evening of French music with the Lucerne Festival Orchestra, when under Abbado's baton the dreams of Berlioz, Debussy and Ravel came alive. [http://www.abbadiani.it/guppy/articles.php?lng=en&pg=648] It is marvelous what clarity and creative passion a close acquaintance with Death can bring. I've felt a close connection with Death throughout my life as a result of my boyhood experiences of "dying and coming back" (as an Australian doctor put it in those pre-NDE days). Whenever I get too blase about this - or just too idle - Death pops up in wonderfully shiverish ways to restore my clarity and fire. Last week in a gathering in Connecticut I led a journey to a place of healing. I had many very powerful experiences of my own, while drumming for the group and watching over them (doing this kind of work is very good for the practice of maintaining multiple levels of consciousness). The climactic sequence came when, after many other adventures, I came to a quiet pool inside a temple-like precinct, with wide, creamy, shallow steps leading down on three sides. I knew in that moment that this pool was the Eternal Bethesda, the one that was there long before Jesus told the lame man to get up and walk. This is the exact address of the Angel That Troubles the Waters, the lord of Death who may also be a lord of healing. I felt a stirring beneath the waters. Then a whirlpool began to form near the wall of the enclosure, on the only side without direct access. The whirlpool span stronger and stronger, opening wider to reveal a great form of black granite rushing up from the depths. Its shape suggested a throne sized for a giant. The upper part of the throne rose twenty feet above the surface of the pool. Its lower part seemed to reach down incalculably deep, all the way to the Underworld. While the waters boiled around the dark throne, I felt absolute stillness there, in the place of Death. I received the message again, streaming through the fibres of my soul, that for me the right path will always involve approaching every significant choice by looking at it from the standpoint of Death. I have an appointment as Death in the Midwest this week, when I lead my workshop titled "Making Death Your Ally" which involves guiding participants through a close encounter with their personal Death into a tour of possible afterlife transitions and then a renegitiation of their life contracts. Many years ago, when I led this workshop at a site near the Gettysburg battlefield, we shared some indelible experiences. Perhaps it is not surprising that many of us were conscious of the nearby presence of men in blue and gray who had not moved on. I spoke to their superior officers and told them they were welcome to audit the workshop - and that I hoped they would find it helpful - but that they should remain at a discreet distance outside our circle. They listened with respect and followed these rules with military discipline. On the night our travelers returned from the abyss, having met Death and made their personal agreements on how they would now seek to live, we turned on all the lights and danced to wild tango music. Stefania Pandolfo’s beautiful, polyphonic Impasse of the Angels: Scenes from a Moroccan Space of Memory (University of Chicago Press) evokes the landscapes – imaginal more than physical – of rural Moroccan villagers for whom dreaming and poetry are vitally important, and always interweaving. “Poetry is always the result of flooding”, a younger poet tells her. A real poem bursts from an emotion that is inundating, overwhelming – until it finds creative release. The most respected poet in the area, one Sheikh Mohammed, was alien to poetry until he dreamed of a flood. The dream came at a time of personal trauma when he was close to despair. Previously a violent man of action, he had managed to blow off his right hand in a gun accident. He dreamed the river was coming down in flood, its front like a mountain, carrying everything it encountered in its path, trees and carrion and debris. Instead of fleeing, he stood there in the dry riverbed, watching and waiting. Then he opened his mouth and swallowed the flood and everything borne along by it. I am reminded of a personal dream of a flood that was a watershed in my creative life. I dreamed I was watching a tremendous wall of water rushing towards where I stood with an animal friend. Instead of fleeing, I prepared myself to catch the wave and ride it. I woke charged with creative energy. I still regard that dream – which I titled “Inundation” – as one of the most powerful creative experiences of my life, and in group visioning in my workshops I have adapted it as a portal through which others can find their own creative power. Stefania Pandolfo demonstrates that if we plunge deep enough into the specifics of a remote culture (in this case into a world of vernacular Arab poetry unknown to most people even in the Arabic-speaking world) we find themes and processes that are part of our common humanity. In the ancient temples of dream healing, seekers came in hopes that a complete healing might be transacted during the night and (to judge by the Asklepian testimonies conveniently gathered in the Edelstein's massive compilation) many wen home entirely satisfied. My friend Wanda Burch, author of She Who Dreams reports a recent personal experience of this kind. Troubled by a suspect mole that had appeared on the sole of one of her feet, she made an appointment for a medical inspection. Before going to the doctor, she asked for dream help. In her night dream, she saw a disembodied hand draw a line around the mole. In the morning, the mole had completely disappeared. Grateful but incredulous, she had to summon her husband to confirm that no trace was left. I dream very frequently that I am conducting classes and giving lectures, as I do in waking life. Sometimes such dreams preview classes I subsequently lead in the ordinary world; sometimes they seem to be programs of the "Night School" sufficient unto themselves. I often hear from dreamers who claim they have attended some of these programs. When I was writing my book Dreaming True I received an email from a very wise woman (a double PhD, inter alia) who had attended one of my waking-world courses at Esalen. She wanted to thank me for "the lecture you gave last night". I had given no such lecture in ordinary reality, but I had vague recollections of lecturing in my own dreams that night. My interest was piqued because she mentioned the "lucidity" with which I had summarized certain points, writing a list on a whiteboard. Since these points related directly to the book I was then working on, I asked her if she would be good enough to send me her notes form my lecture. She obliged, and I was able to incorporate the five points she had recorded from the lecture I had given in her dream, virtually unedited, in my book. I often have dreams that did not appear obviously predictive at first, but at later glance, I realize that it was, and that I had missed a crucial opportunity. I often feel that some of these dreams can be circular in one's life (as in the opportunity may come back around again). How can I work with a dream which I think its time has already passed? Is there a way to re-open a similar opportunity in the future? I often find that when life catches up with a dream event - one I may have dreamed years or even decades before - I can often use the detailed information from the "old" dream (if I have retained it in my journal) as navigational guidance. I may have missed the original prediction, but when dream event and waking event meet up, I find I have a very useful counselor at my elbow. Recognizing this kind of thing also makes me more alert to scanning all dream material for possible clues to the future, especially since (as you may have noticed) the futures we can preview are not necessarily "set" and can sometimes be altered in creative ways. In my experience and observation, we are constantly scouting the paths ahead of us in dreams, which also show us the likely consequences of current attitudes and behaviors and looming choices. Events throw a shadow before them. Even when we miss the shape of what is to come until it is all over us, the "old" dream has rehearsed us. When we re-examine the "old" dream in the new situation, we can learn from how our dream selves handled or mishandled the breaking news. We may have missed an opportunity to reshape a coming event, but we can still choose our response(both inner and outer) to that event, and here again the dream can play counselor. I want to ask about how people receive their images as they close their eyes and allow the mind to empty so that spontaneous pictures and sensory impressions can be received. About a year and a half ago I first began seeing very vivid visions on the screen behind my closed eyes. They have a holographic quality in that they are three dimensional and completely realistic. They present themselves by emerging from a deep place of darkness. The design patterns are intensely creative as the human faces grow, recede, morph into new ones. There is energy and expressiveness, especially in the eyes, very soulful eyes. In one sighting of a large group of brown-eyed people there was a face that bore a striking likeness to Coretta Scott King. Recently, early in the morning before rising. In fact, I can summon this sea of faces, if I am very relaxed. Have you ever had anyone speak to you of something similar to my experience? Do you have any thoughts on how I might chart my way through this sea of humanity that insists upon showing up? Your "sea of faces" experience is familiar to me, and to others who hang out in relaxed states, especially the "twilight zone" of hypnagogia, between waking and sleep, or between sleep and waking. I find the cast is constantly shifting. Sometimes I seem to be looking through the veil (of ordinary perception) into activity on a level of reality fairly close to the physical. This may broaden out into perceptions of vast numbers of human or humanoid characters, mostly quite unfamiliar. It may turn to scanning of passing parades in the ordinary world (or a counterpart reality so close to it as to be indistinguishable) or branch out into explorations on other planes altogether. It's often startling when someone in the parade of faces proves to be looking at me. Such experiences can be the prelude to conscious dream adventures and conversations. I don't often seek to talk to strangers that I perceive in this way, but if I thought I could communicate with Coretta Scott King I might have a go at that. In my waking life I seem to get 'flashbacks' of dreams that I have had previously, sometimes from when I was a child. Just snippets of dreams that I know were from a long time ago. Is this a common thing and what does it mean? I am always intrigued by the surfacing of those "old" dreams. Sometimes our waking lives are catching up with events and situations we dreamed long before. Sometimes the "flashbacks" are invitations and opportunities to reclaim a connection with a younger self, with her energy and her gifts. Sometimes we are becoming aware of an ongoing story that has been playing out in another order of reality, maybe over all of our present life. Another document from a future society known as Dreamland has come into my possession. On February 10, we posted a report on "Doctors in Dreamland" that appears to have been the work of someone engaged in the healthcare industry a century or more ahead of our time. The new document, by contrast, appears to have been written by a child. It would be a good guess that the author is a sixth-grader, in our terms (although school terminology may be different in Dreamland). He reports, perhaps for a school project, on the daily customs of dream-sharing in his family. His just-so, colloquial account of how you start the day right in a dreaming culture has a charming insouciance. It is also highly provocative. It may lead us to reflect on how deeply adrift our mainstream society has become - in its estrangement from dreams - not only from the ways of our ancestors of the past, but from the ways of our enlightened descendents. The Lightning Dreamwork Game is apparently standard daily practice in the future society known as Dreamland. “Who has a dream?” That’s the question that starts our day, at the breakfast table or earlier, when the dream won’t wait. The dream might be something that happened during the night, when you went traveling or received a visit, or got chased by monsters or chased them back. The dream might be a memory of the future. It might be something the world gave you, something you heard in the voice of a bird or the whistle of the wind in the leaves. My dreamwork teacher says that dreaming isn’t really about sleeping. It’s about waking up to the things you need to know. Dreaming is traveling. You do that in your sleep, but you can do it by stepping inside the world of a tree, or walking the path of moonlight on water or – as my little sister says – by just punching a hole in the world. When we go dreaming, we step through the curtain of the world into the world-behind-the-world. Out there are beings who are dreaming about us. Sometimes they come poking or tickling through the curtain of our world to help us wake up. This is called coincidence, and if you want to get good at dreaming, you watch it the way a cat watches a bird. In our house, when there’s breakfast on the table, we take turns to tell dreams and coincidences. Whoever has the strongest feelings gets to go first. Every game requires rules, and we have rules for dream telling. The first rule is about time. When we start a dream telling we set the egg timer (ours looks like a bear) for ten minutes. You get five minutes to tell your dream, and then everyone gets five minutes more to talk it over with you and help you figure out what to do. Then the egg timer goes off and everything stops, or else the bear gets really really mad. We go on to the next story, or we head off to work and school. A big rule is that we must tell our dream as a story and everyone present must listen up. It’s okay to act the dream out as you tell it, slithering around the floor or turning pirouettes of fire. You want to give your dream a name; stories need titles. When you’ve told your dream, the other people get to ask you a few – just a few – questions. The first question is always, “What did you feel when you woke up?” What you feel about a dream in your heart or your tummy is the best guide to whether the dream is good or bad and whether it’s about something in this world, or another world, or one of the messages coded in symbols that bring the worlds together. Another question we always ask is, “Could anything in the dream happen in the future in some way?” We search every dream for clues to the future, because in dreams we are time travelers who can scout out the roads ahead for ourselves and others. When a dream opens a door on the future, we want to figure whether out the event on the other side is fixed or squidgy. A squidgy future is one we can push or pull like play-dough, so things will come out better. After the questions, everyone who is playing the Lightning Dreamwork Game gets to say anything they like about the dream as long as they say it politely. To do this, we begin by saying “if this were my dream” and then add whatever pops into our heads. We’re watching the egg timer, because we’re not done until we get to the Action Plan. Dreams require action. Lucy (she’s my sister, and she’s four) is jumping up and down now, so I have to let her speak. I hope she’ll be quick. Lucy (aged four): I want to tell them what we do with S-C-A-R-Y dreams. Lucy: You spit out the bad stuff right away, on the ground or down the toilet. If there’s something in your dream that was chasing you, you go back inside and you chase it back. Me: But what if it’s too scary? Lucy (holding up a teddy bear as big as she is): Then you take a special friend with you – we call it an ally – who can scare it back. When you brave up to what was scaring you, sometimes it becomes a new friend. Me: Anything else you want to tell us about scary dreams? Lucy: They show you bad stuff that can’t be stopped unless you tell Mommy or Daddy and they make it right. Like when I dreamed the crash. Lucy: And I told Mommy and we didn’t go on the red shuttle that went BOOM. Lucy: No, wait. Tell them if you’re falling you should stop flapping and start flying. That was Lucy. She’s taken up all the time I had left. I have to prepare for my Prevision final at school. I dreamed the questions last night, of course, but I have to go over my notes. Alas, the New York Times, it seems, is not a dream paper, at least when it comes to the coverage of dreams in its "Science" section. In a recent article ("What Do Dreams Mean? Whatever Your Bias Says", March 10) John Tierney pronounces that "for thousands of years, dreamers have little more to go on than the two-gate hypothesis proposed in the Odyssey", thus ignoring a vast and rich history of dreamwork and dream interpretation, which have been of high importance to most human cultures prior to the modern era. Even in summarizing Homer's "two-gate hypothesis", he manages to distort ancient texts. Homer did not dismiss dreams that come through the Gate of Ivory as "fatuous", as Tierney states. In the Odyssey, we learn, with Penelope, that dreams that come through the Gate of Ivory are “dangerous” and may not be manifested; dreams that come through the Gate of Horn are clearer, and may be embodied in events. The difference seems to be a matter of clarity rather than deception. Carved ivory is totally opaque; polished horn is translucent. The gates reappear in the Aeneid but Virgil changes the characterization in his account of Aeneas' descent to the underworld to visit his dead father Anchises. Now dreams that come through the Gate of Ivory are designated “false”, while those that come through the Gate of Horn are "true". This becomes a standard distinction for centuries in the minds of Westerners raised on the classics. But there is a mind-trap in Virgil's story. Anchises sends his son back from the Underworld through the Gate of Ivory. Is the poet hinting that our ordinary experience of reality is the false dream? Synesius of Cyrene, an early bishop of the church who wrote a wonderful treatise "On Dreams" around 405, believed there was no question of truth or falsity involved. All dreams are true (though of varying degrees of importance or value); truth or falsity come in through what we make of them, and through our cloudy or confused recollection. I think he was right. The "gates" refer to the quality of our memory of the dreams - blurred or relatively clear. Our dreams often shake our waking assumptions, serving as a vital corrective to our ego agendas. They hold up a magic mirror to our waking attitudes and behaviors, showing us the possible consequences of what we are doing or not doing. This is one reason why so many human societies have valued dreaming, as the voice of conscience and a means of restoring our inner compass. It may be comforting for those of us who are stuck in our ways to agree with Mr Tierney that dreams mean only what our "bias" says, but dreamers everywhere know better. Even the deeply flawed sociological study that is Tierney's source concedes that "laypeople" (i.e., everyone except paid researchers) "around the world appear to believe that dreams serve an important function and have meaning, revealing hidden truths," whatever researchers say. Graphic: The illustration is from a medieval manuscript depicting Aeneas preparing to return to the daylight world from his visit to his father in the Underworld via the Gate of Ivory. I get a call from a reporter on the Vancouver Sun. She wants to know what put me on my path as a dream teacher, for which there is no career track in our culture. I am wondering how much to say to her about the dreams and visions of an ancient Mohawk Indian woman healer that came to me when I was living on a farm 22 years ago and contributed to a major watershed in my life. Holding the phone, I glance out my hotel window across Queen Anne Avenue. On the sidewalk right below me ins a wannabe Mohawk with a fierce ridge of dyed orange hair bristling agains his shaved skull. This is not an altogether exotic sight in this borderland between the old-established Queen Anne neighborhood and the raunchy Belltown district of Seattle, but it seems to be speaking to me in that moment. The reporter has moved on. Now she is asking for an example of how I derive messages from coincidences. I tell her about the wannabe Mohawk and how his "come-and-get-me" haircut reminds me of experiences that ripped me out of my ordinary life, obliged me to embark on deep study of indigenous dreaming practices, and changed my sense of what mattered in a way that made me change my life radically. To avoid complicating things I did not mention that the name "Queen Anne" in itself had huge resonance for me, since one of the first and most powerful scenes I completed in my historical fiction involving the Mohawks describes the visit of four Indian "kings" - three of them Mohawk - to visit Queen Anne in England in 1710. I fly from Portland to Vancouver for an interview with a popular radio host prior to my evening talk at the Vancouver Public Library. The radio host, normally quick as a whip. is having an off-moment. She introduces me as "Dr. Moses." I respond, "I'm flattered that you think I can lead people to the Promised Land." On the way to the library later that afternoon, I check my BlackBerry. I find a message from a friend in New York City: "I'm thinking of you because I'm trying a new Australian wine. It's called Promised Land." At a cheerfully anarchic community radio station where the news director is (literally) a bearded lady of the kind we saw in old-time circus sideshows, I flub a story I have told a hundred times. It involves a big dream before my mother's death. Actually, I tell the story correctly the first time, then go back and say, "I meant to refer to my father's death." After the show, I ask myself why on earth I changed the details of a story that is absolutely central to my life to set it in the context of my father's death. Within a few hours, I am given three reasons. First, the talk show host speaks with deep emotion of the circumstances of his own father's death. Next, I receive an email right after the show from a close friend I have not seen in many years telling me she is flying to her family home because of her father's death the same day. She describes a vivid dream from a few days before in which his death appeared to be a wedding, and comments on how she felt the dream had prepared both of them for his crossing. Third, in the hotel lounge that evening I strike up a conversation with a woman who tells me she is in town to support her 86-year-old father, who is in a comatose state at a nearby nursing home; she is not sure whether he is coming back or getting ready to leave. We discuss how she may be able to "look in on him" and help to clarify his wishes and the right paths to follow. I rise at 4 am today to record a very exciting dream with some "Indiana Jones" elements, in which an anthropoligist who proved to be a sorcerer tried to blind me and succeeded, in part, for a time. As I write my report, I reflect on how blindness is a rare element in my dreams, and being blinded is quite novel. When I check my BlackBerry, I find that a friend on the East Coast sent me a dream report while I was asleep that features a highly-charged episode in which she is blinded as part of an evil plot. This may be an example of mental texting, producing dream overlap. under the tender green canopy of the beeches. that are prancing in place under the bridle. and find myself, at last, at the blood pool. I did not know it until I came here. and unhealed wounds and interrupted dreams. walking on my right. A lion flanks me on the left. They bring me to the antlered one. sun and moon float together. where it is thinned as a painter thins his oils. and find regeneration in the ever-giving wound. Note: One of the exercises at my recent gathering at Mosswood Hollow in the foothills of the Cascades (Washington State) involved opening a door to the heart center and journeying to a garden within. Several great cities have been built in one quadrant of a vast open landscape. This quadrant is to the bottom left of my perspective, as I look down on this scene from high above. I think this is southwest. The cities are still growing. There is no sign of construction; they are simply swelling and popping out as mushrooms do overnight. There is a designing mind behind each of the cities. Their designers are engaged in fervent competition, working against a deadline. From my aerial perspective, the cities look very similar, except that their outlines make different geometrical designs. The buildings are of spare, modern design, with occasional neo-classical features, columns and pediments. The dominant color is mid-brown. The cities are very clean and new. I zoom in on a triangular plaza with a fountain that looks like it has just been turned on. The plaza appears to be empty, but when I ask, “Where are the people?” it suddenly fills with a busy crowd of people who seem to be on the way to work. In the window of a coffee shop, someone is looking at me. I see my own face, but it is not merely my reflection. It is a second self of me, seated at a booth. There is a woman with him who is gone from my life, in my present reality. They are still there. She is unaware of me, looking down at them. I consider my own vantage point. I am hovering above the plaza, maybe fifty feet up. I am now disembodied. I try to picture myself from the outside; the most I can see is an almost imperceptible pulse of light. Did I have a body, in this conscious dream, before I told the thought forms to disappear? I think so. Interesting. The Waggoner Banishing did not remove my second self in the coffee shop, or his companion. But it may have erased the dream body in which my focus self thought it was traveling. The city with the fountain, rising from a vast flat landscape varied only by occasional copses of trees, and the other cities, reminds me of the Midwest, of Iowa and Ohio. An appropriate setting for a test of the Waggoner Banishing, since Robert Waggoner hails from the Midwest. I am told – by an inner source I cannot identify – that the city-building contest has been concluded. The winner will be announced in something like the Guinness Book of Records. I wonder about the great empty spaces in the landscape. I am drawn to a long straight highway where a city is on the move. You could mistake this, from afar, for one of those double-wide trailers or a simple ranch home being carried on the flatbed of a big trailer truck. But this is indeed a whole city. It looks like one of the full-grown cities reduced to doll-house scale, or smaller. I have the impression that when it is set down at the chosen location, it will expand rapidly to become a city scaled to human proportions. 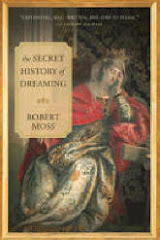 *The "Waggoner Banishing" is a reference to a method employed by Robert Waggoner in his recent book on Lucid Dreaming. In this report of a conscious dream experience I describe the paradoxical results of an experiment with this ploy. In an order of reality where thoughts are things, "thought forms" may be quite durable! The City: The illustration is by artist Steve Niner and available as a digital print from him. (See the note at the foot of "The Child's Other World").